Are any of these engines in YOUR car? Let me know! 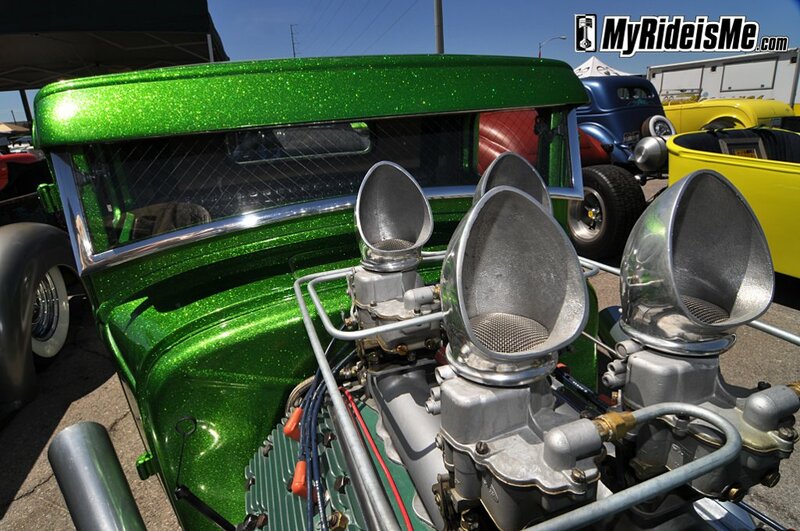 Alot’s already been said about this crazy-green-flaked hot rod pickup, but there was more to it than just the paint. 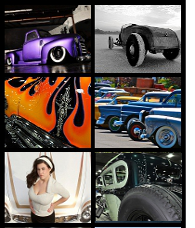 Four singles on top of a flathead Ford turned just as many heads as the paint. 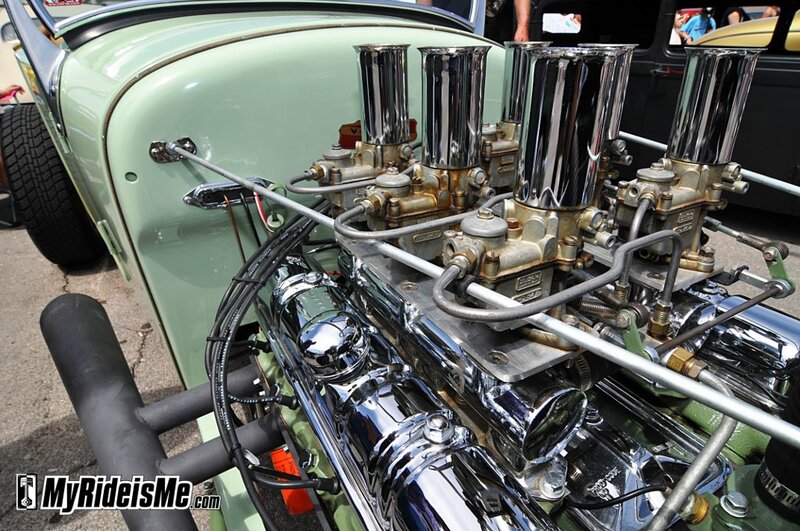 For you Oldsmobile nailhead fans, this little modified roadster was packin a full six pack! There’s a full shot of this car in the 2011 Viva Car Show Picture Gallery. Then here’s the rest of the best!